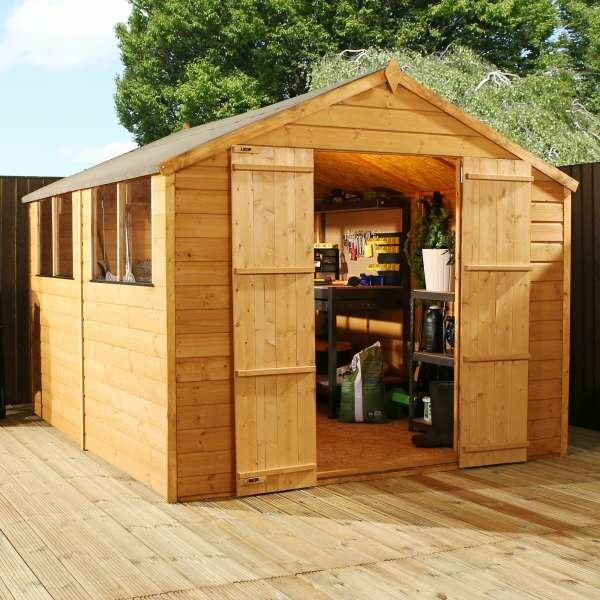 This beautifully designed shed is the perfect choice for anyone who looks to be different from the norm. 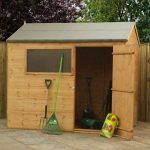 This 8×6 Shiplap Reverse Range shed is an alternative design to the traditional shed but comes with all the same practicalities. 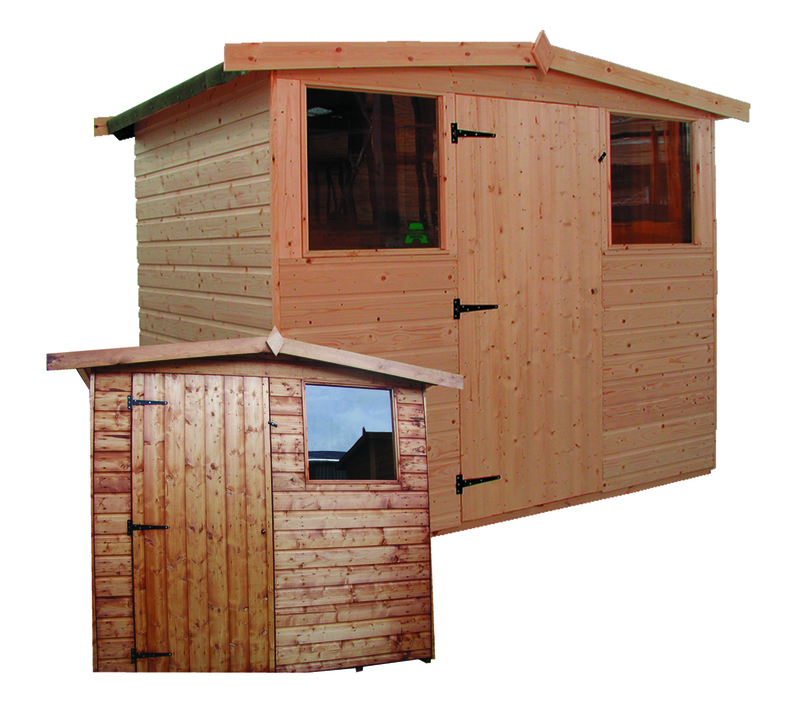 The door of the shed is placed on the side instead of the front and the fixed glazed window is positioned next to it. 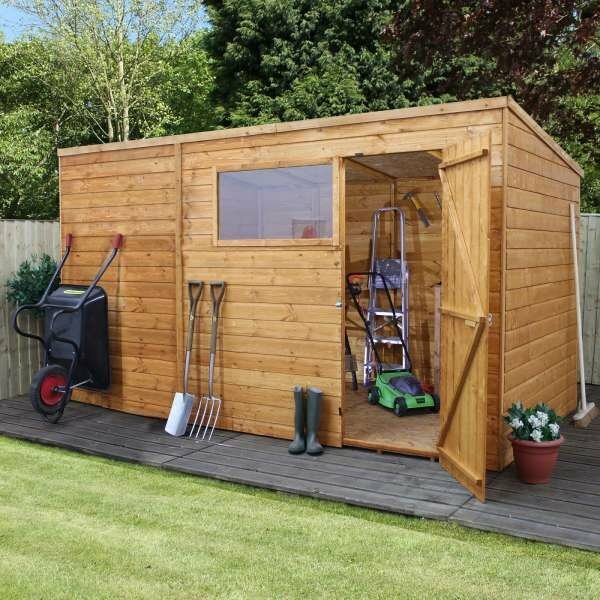 Having the door on the side makes it even more functional than a traditional shed. 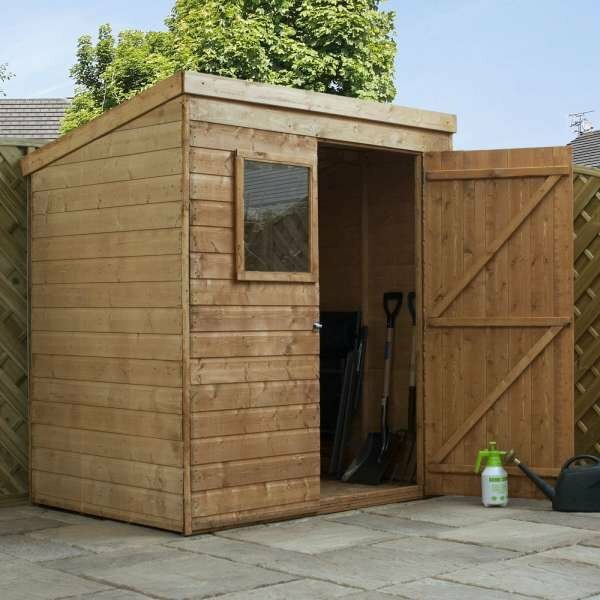 Access is much easier and getting large items in and out of the shed becomes a dream. 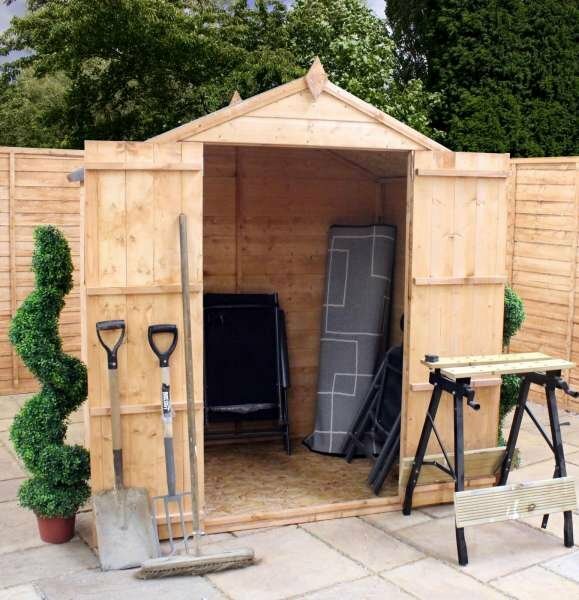 The shed is secured with a pad-bolt, so you don’t have to worry about storing valuable tools inside overnight. 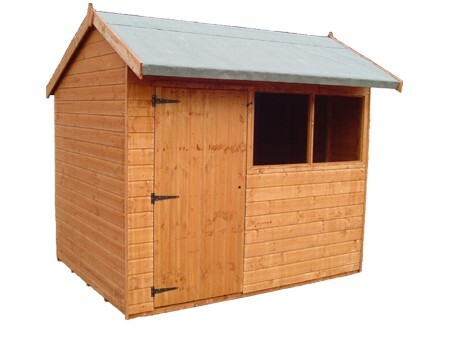 The strength of the shed is enhanced by the solid sheet roof and floor. 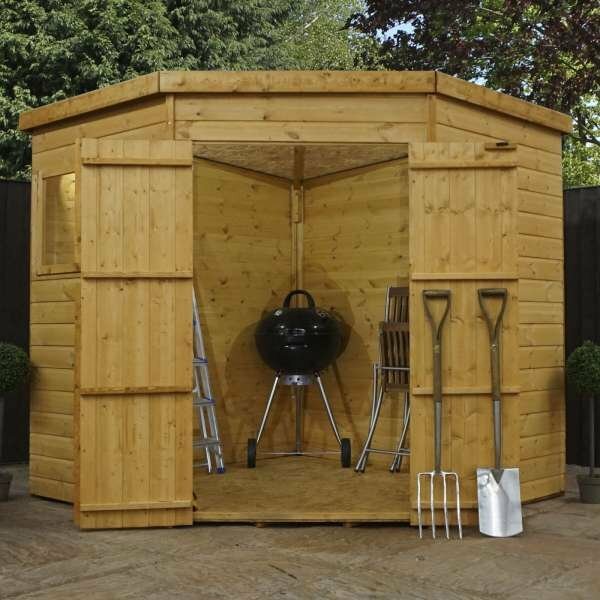 It also features shiplap cladding which gives the shed its attractive look. 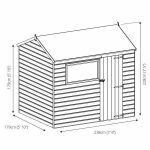 The 8×6 Shiplap Reverse apex takes the traditional shed and turns it on its side. 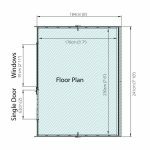 The door is placed on what would normally be your side gable. Not only does it make the shed more attractive, it also increased functionality with the door and window positioned on the side section of the building. 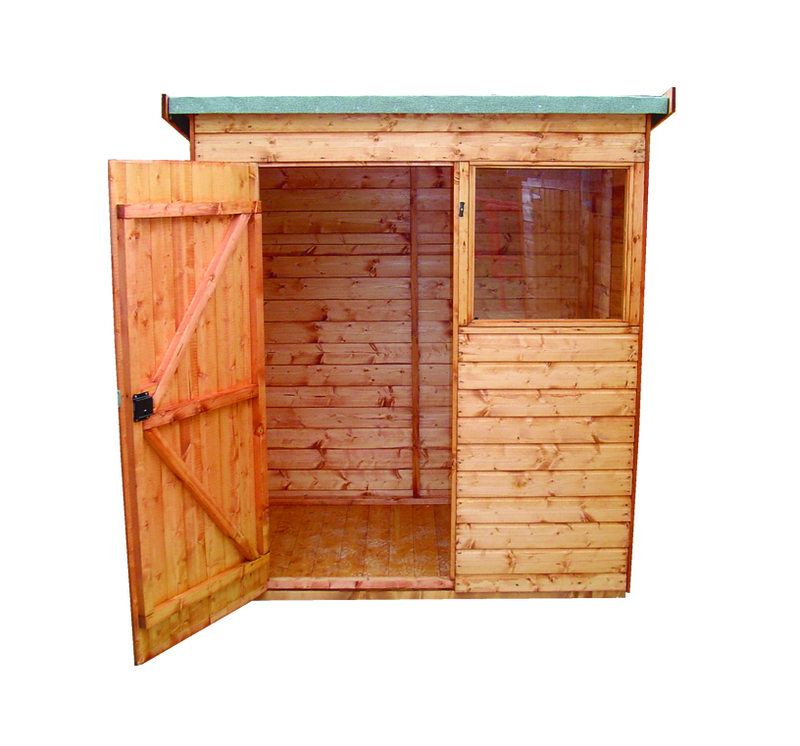 Feactures 12mm shiplap cladding, 10mm solid sheet floor, 8mm solid sheet roof, one styrene glazed window and pad-bolt for extra security.